For many people, music played at a funeral service remains an abiding memory. It may be the sound of traditional organ music, a contemporary artist or the theme from a familiar TV show. Listening to music allows mourners time to reflect on the life of the loved one who’s leaving them. Our extensive music library contains over 2,000 tracks, with everything from hymns to popular classics as well as organ music especially recorded for Harwood Park. We can also play any personal favourites that you can’t find in the library. 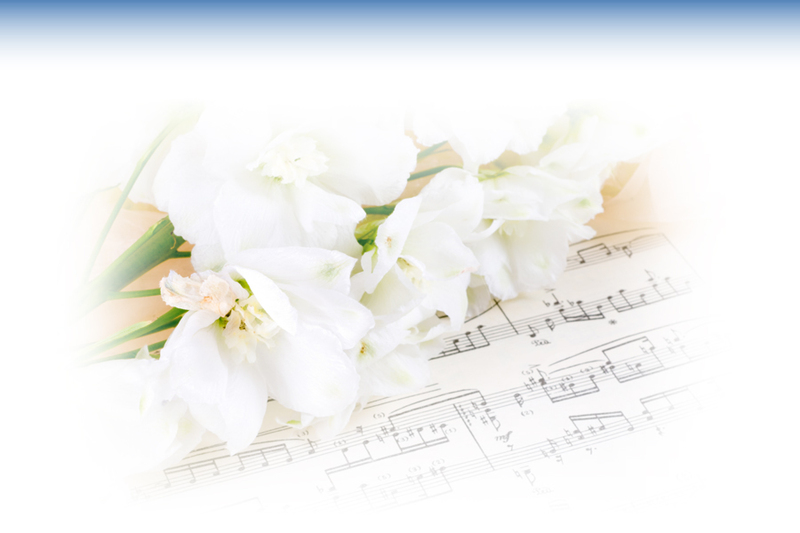 Whatever you decide, simply choose the music you would like and we will have it ready to play at the service. We are happy to accommodate requests for music to be performed live during the service, and also have a keyboard in the chapel if someone in the congregation would like to play. Let us know if you would like us to record the service onto audiotape. This is something that many people request, particularly for those who are unable to attend the service. We can also arrange a tribute slideshow.